The IR sensor ARRAY of 8 is important in making a LINE Follower Robots.This sensor module has 8 IR LED/phototransistor pairs mounted on a 0.375" pitch, making it a great detector for a line-following robot. Pairs of LEDs are arranged in series to halve current consumption, and a IC allows the LEDs to be turned off for additional sensing or power-savings options. Each sensor provides a separate digital I/O-measurable output and Analog Output Also. 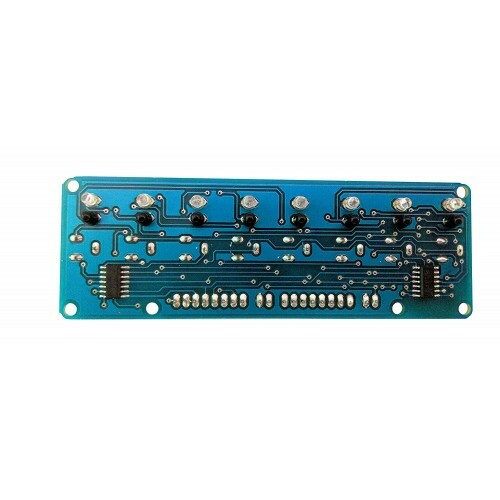 High Quality FR4 grade PCB for best performance.